In the last tutorials, we've seen a bunch of various customizations for Glide using Glide modules. We'll show you the last example today, but possibly the most interesting one: how to request images in specific dimensions from your server. The media server kept previously computed sizes on disk and, if not requested in the past, scale the image on the fly. Now, the initial implementation on the Android side calculated the size of the ImageView, then made the Glide request with the concatenated URL (like ../logo.png?w=400&h=300), like we've shown you above. This way worked, but is a little too complicated, especially if you consider that Glide offers help here. 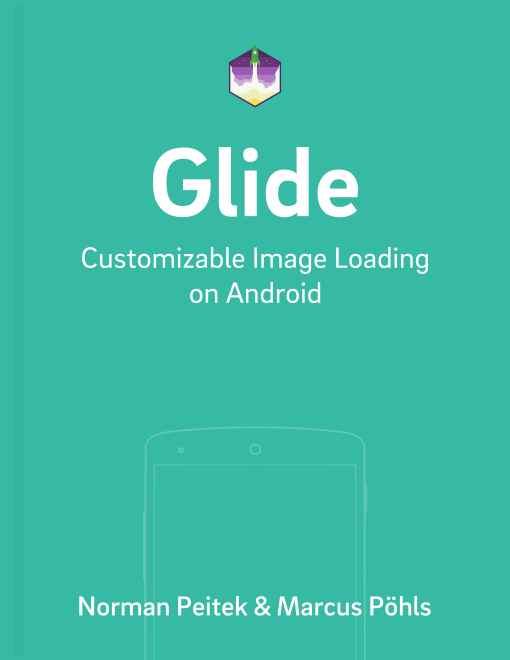 The .append() call configures Glide to understand all requests which are made against the CustomImageSizeModel interface (instead of the regular GlideUrl interface). So this line has the effect that you can create and pass instances of a CustomImageSizeModel implementation to Glide. In order to handle this new custom model, we'll need to write a CustomImageSizeModelFactory class, which creates an instance of our model request handler. As you can see above, we won't need to pass the exact dimensions. Glide will measure the ImageView and pass it with our request. Now the server will respond with an image in the perfectly optimized size! Of course, you can just add additional CustomImageSizeModel model implementations, if you've multiple servers, which use different logic to build the URL. Just create a new CustomImageSizeModel implementation and pass it to your Glide request. You can use as many model implementations as you need! In this tutorial, you've seen how to cut out a significant part of image request overhead. Every time your users will see their battery status and data usage, they'll love you for it. Unfortunately, you'll need the support for it on the server side. Nevertheless, Glide makes the Android side very easy. The initial setup is a little complex, but once you understood the concept, it's very useful. The issue with the approach we've shown you in this tutorial: it'll be used on every single request. What if you've a mixed usage between image URLs, which can be resized, and image URLs, which cannot be adjusted? Next week, we'll show you how to apply the same idea dynamically on a single request.